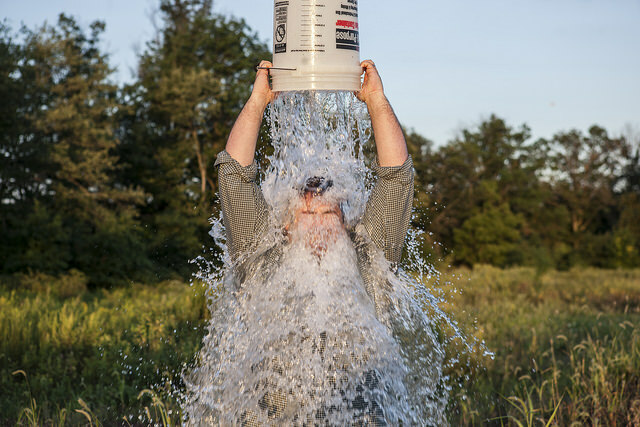 67% of the money raised in the ALS Ice Bucket Challenge last summer will be used for research. The challenge inspired thousands of people world-wide to pour buckets of ice water on their heads, including Bill Gates, Mark Zuckerberg and Chris Christie. ALS announced on its site a breakdown of how that money was (or is intended to be) spent, including the $77 million (67%) allocated to research and the $3 million spent on continuing the nonprofit’s fundraising efforts.